The refined, fresh scent of lavender has graced homes and gardens for centuries, and in the aromatherapy world it is said to have many therapeutic benefits. 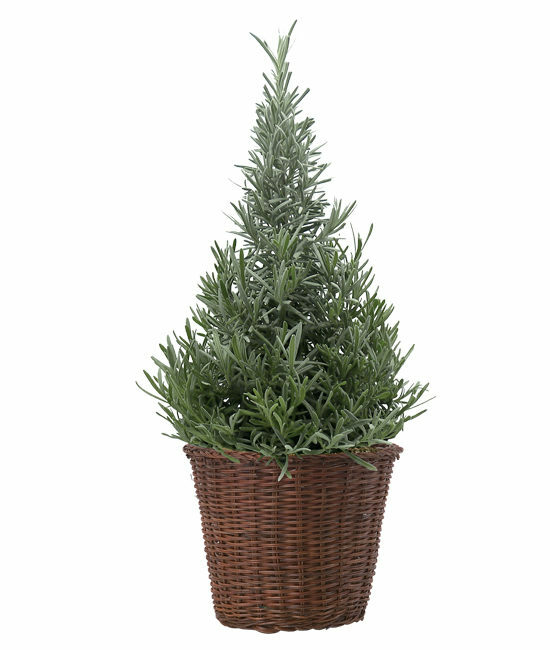 Trained and trimmed for the Holiday Season in a fashionable Christmas tree form to beautifully decorate any tabletop. 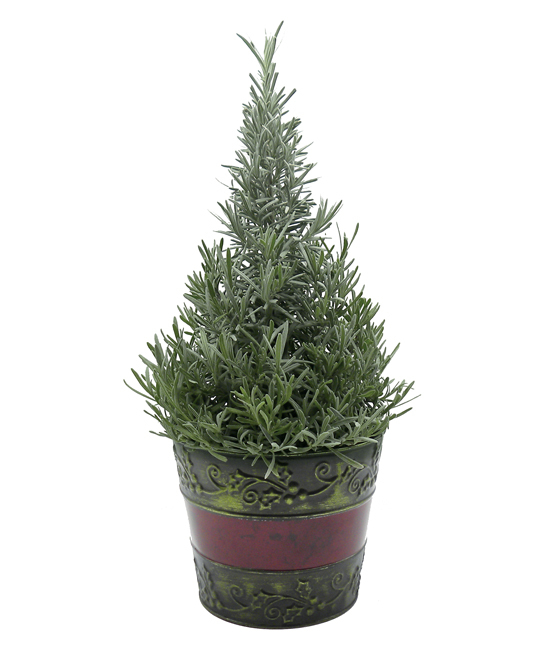 A favorable Holiday Herb, the lavender is known to promote sleep and relaxation, afterall it is the holidays! We’ve paired the plant with embossed seasonal cachepot with a festive red stripe. Ideal for anyone or any location. Non-edible. Your Lavender plant is light green/gray in color and is ornamental only, not intended for human consumption. Place your plant on a windowsill or in a sunny area. Keep your plant on the dry side. Water once a week and allow for proper drainage, or place in the kitchen sink in water to feed from the bottom for 30 minutes once a week. Spray mist daily. Do not allow your plant to sit in water or become soggy. Trim away spent sprigs that yellow. Fertilize with an acidic fertilizer during the warm season. After your tree has spent the holidays indoors we recommend planting it outside in a sunny area.